Getting in the holiday spirit is simple. Sometimes it only requires a little bit of your time. Whether it is donating your money or volunteering at a homeless shelter, there is no better way to celebrate this festive season than to offer something and expect nothing in return. The fine folks at Felluca Overhead Door in Rochester, NY, is doing just that and wants you to get in on the act. Simply head over to their Facebook and like their page. They are not even expecting you to browse their extensive catalog of garage doors or invest in a new garage door opener—even though you really should! All you have to do is spread the love and tell your friends and family. For every “like” they receive from November 16th until the end of the holiday season, Felluca will donate $1 to the Special Olympics of NY. It’s really that easy. The act of giving this season takes one click and you’ll be helping Felluca Overhead Door do something incredibly thoughtful for the community. It’s their way of saying thank you to the locals of Rochester for being so supportive the past 100 years. And who can blame them? 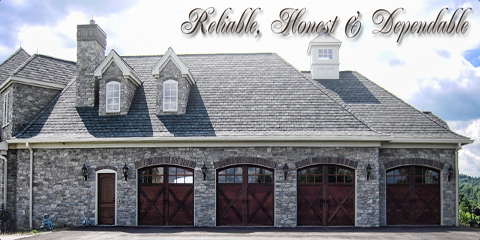 With decades of experience providing impeccable service, it’s easy to see why the locals flock to Felluca Overhead Door for all of their overhead and garage door needs. So if you are wondering how to give back this holiday season, why not head over to Felluca’s Facebook page and give them a well-deserved thumbs up? For more information on Felluca Overhead Door's wide range of products and services, head over to their website or give the friendly staff a call at (585) 467-2391.